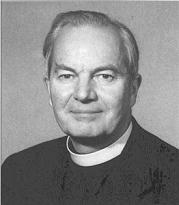 T. F. Torrance is my favourite British theologian, and his work has influenced me deeply (especially his work on science, theological method, and the Trinity). Although I have read most of his books, I have never read his collection of sermons, When Christ Comes and Comes Again (London: Hodder, 1957). So imagine my delight when yesterday I received a lovely first edition of this book, sent to me all the way from Scotland by Mike Bird. Thanks Mike! Incidentally, if you’re interested in Torrance, I’ve written an article on his trinitarian theology which will appear later this year in the Scottish Journal of Theology.